BGR is reporting that a trusted source of theirs has confirmed that the Nokia Lumia 900 will not be able to make its rumored U.S. launch date of March 18, 2012. 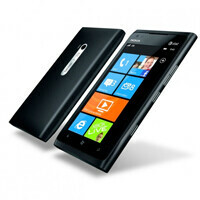 While that was initially the intended date for the debut of the Windows Phone handset, the launch has been delayed. AT&T is working vigorously to make the Nokia Lumia 900 available both online and in store on April 22, 2012. While it is not abundantly clear what exactly is causing the delay, BGR previously noted that the Lumia 900 had not received technical acceptance so this latest delay is probably related to that. While the date is changing, the price remains the same. The Nokia Lumia 900 is expected to be priced at an extremely competitive $99.99 when signing a two-year commitment with AT&T. This isn't good. The Lumia needs to hit AT&T sooner rather than later. Yeah, these delays aren't helping the WP cause. 900 has LTE. T-Mobile doesn't. come on already!!! delay after delay!!! are they having vendor problems? Technical acceptance? From whose point of view, the FCC? Fudge, and I was eagerly looking forward to this! More FUDGE! Neither Nokia, Microsoft, or ATT EVER stated a release date or price for this device. The rumor was started by Paul Thurrott, who is to Microsoft what Eldar Murtazin is to Nokia! So sad that many 'believed' the rumor of a March 18th release date. Needless to say, those same people will most likely believe that this device is only going to be $99. Sad because when people believe rumors, and when those rumors are totally squandered with 'the truth', these people are not only disappointed, but they go on to bad mouth the product and/or company. At the end of the day, though, one deserves to be disappointed when they believe rumors. By that logic rumors are never true 100 percent of the time. Though disappointing that the device is not coming out sooner, I don't see anybody badmouthing the Lumia 900/Nokia. Nice try pal. For those wishing it did come out this month, they would have announced it if it were to come out next week. Clearly they would not want such a release to go under the radar. As for pricing, I expected 150-200 on a 2 year contract. You obviously haven't read any of the reactions across the internet with regards to this new rumor! And do you think that Paul Thurott is going to sing praises if the release date is not March 18th or if the price is not $99? No. He will bad mouth and criticize his 'source', bad mouth ATT, Microsoft and Nokia - essentially point fingers as to why the egg is on his face. Possible delays are from the carrier who wants to load a bunch of bloatware to the OS. Lock and remove some of the feature that would make the user buy it from the carrier services. They need to at least start advertising this phone NOW.!!! Who cares if it isn't available right now.? At least get people talking about it.! With the HTC One X coming out soon, this is not so good for Nokia or Windows.